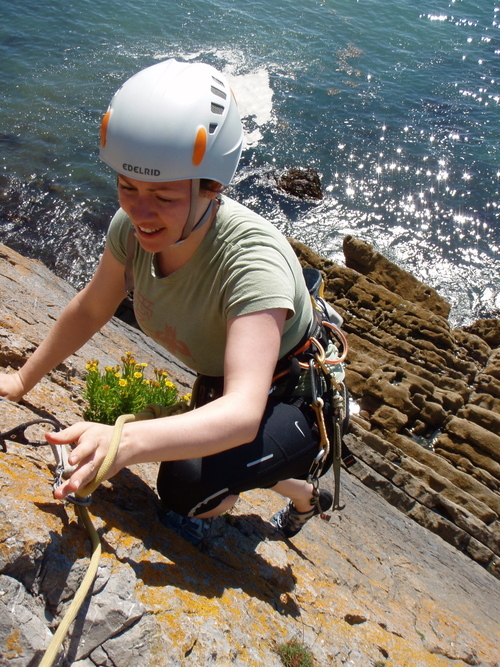 Sea Cliff Rock Climbing Adventures in the Pembrokeshire Coast National Park. 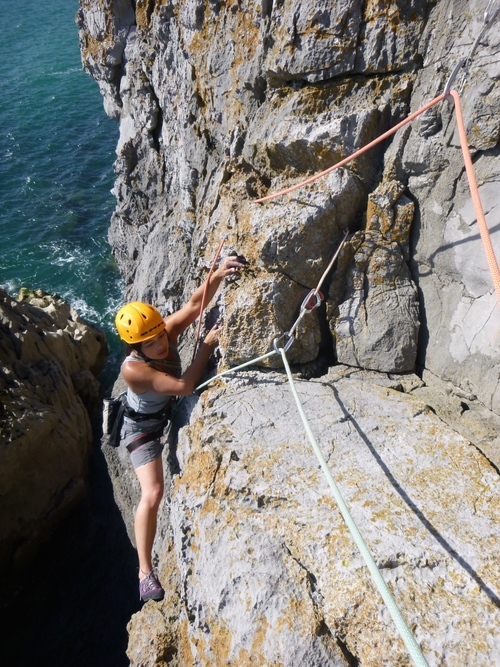 Book onto one of our Guided Rock Climbing courses in Pembrokeshire and explore the beautiful areas of sea cliffs that many people never get to see. whether you want to climb single pitch or multi-pitch routes, you will climb world class routes on world class rock. Depending on what you'd like to do, guided climbing can also include skills training along the way. If you'd prefer we can keep the teaching to a minimum and just get on with the climbing! Either way, you'll get to follow up led traditional rock climbs, removing the leader placed protection while climbing routes at a grade that works for you.